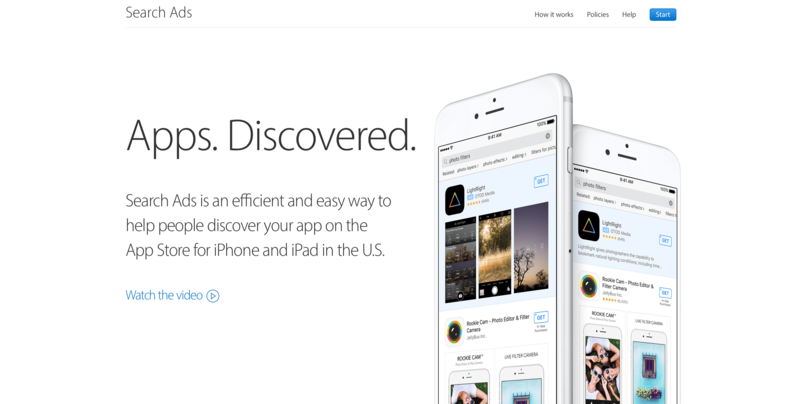 First announced at WWDC in June and beta-tested over the Summer, Apple launched Search Ads for iOS apps today. The ads will appear at the top of App Store customers’ search results based on a combination of search relevancy and bidding. According to Apple, the program is designed to be a simple way for developers to get their apps in front of potential customers. Developers can sign up today and schedule campaigns, but ads won’t go live until October 5, 2016. I gave Search Ads a try by setting up an ad campaign for Blink, my iTunes affiliate linking app. The first thing I did was register for the program. I got a confirmation email back from Apple with a $100 promotional credit for trying Search Ads. Picking an app to promote and creating a campaign. Setting up a campaign was straightforward and only took about 15 minutes. There is an introductory video at the top of the Search Ads site, which provides a good overview of the program, but be patient, it took a while to load, undoubtedly because so many people were watching simultaneously. There is also extensive help documentation that explains every step of the sign up and campaign creation process if you have questions. Search keyword selection, which determines which search results your ads will be displayed against. There are a few other details and payment information that must be input, but the process was easy and included contextual help every step of the way that helped where I had questions. Setting up search terms and a completed campaign. During campaign creation, keywords are suggested based on the metadata used for a developer’s app. The ultimate cost per tap to the developer is determined for a keyword auction, subject to the maximum limits developers set. Although the auction plays a role in determining which ads are displayed in the App Store, Apple says that the auction is secondary to ad relevancy. How Apple decides what is relevant is not disclosed in the documentation. It will be interesting to see how Search Ads play out. I am especially curious whether the emphasis on relevancy will give smaller developers who cannot afford to bid as much per tap as larger companies a chance to promote their apps to users. One thing is for sure, App Store ‘relevancy’ is about to launch a whole new branch of the app search optimization industry.